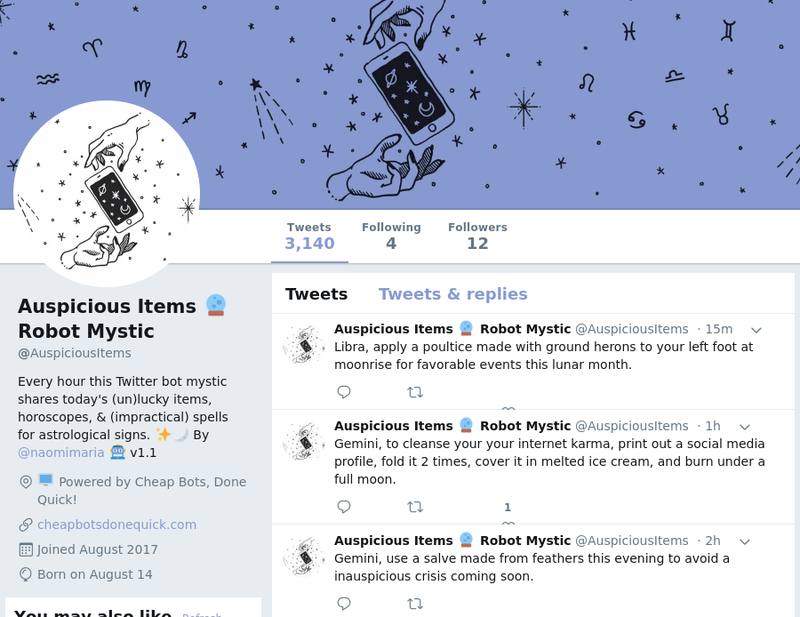 @AuspiciousItems is a Twitter bot created by Naomi Maria (diario.naomi-maria.com). It creates hourly mystical advice for zodiac signs and what objects are lucky or unlucky. It also includes some spells for bringing good luck or dispelling bad luck.